If you also desire [to possess] this faith, you likewise shall receive first of all the knowledge of the Father. For God has loved mankind, on whose account He made the world, to whom He rendered subject all the things that are in it, to whom He gave reason and understanding, to whom alone He imparted the privilege of looking upwards to Himself, whom He formed after His own image, to whom He sent His only-begotten Son, to whom He has promised a kingdom in heaven, and will give it to those who have loved Him. And do not wonder that a man may become an imitator of God. He can, if he is willing. Since the Trinitarian metaphor for our analogue of the Father is Tizan (Artisan), it follows that the main way of imitating God in context of our campaign world is that of co-creator. We are given creation by God and are expected to work it with our own hands and present something newly created back to God. This is why the eucharist is bread and wine and not wheat and grapes. 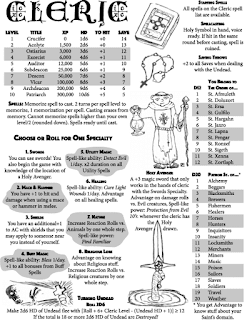 A table with various types of skills (like the Tool Proficiencies from 5e). Players would randomly roll on this table and their PC would then be skilled in that particular area. As long as the character is doing something reasonable using that skill, no roll is necessary. The character can do extraordinary things using the skill with an appropriate roll. Crafting skills that are class-specific. This follows the logic of Holmes allowing 1st level magic-users to craft scrolls at a cost of 100gp and a week per spell level. Each class would be able to spend time and money create a class-specific item for use on an adventure. Given the one-use property of a scroll, this should probably be universal across all classes. Since scrolls are 100gp for a 1st level spell and all the various bonuses are less than what one would gain from a 1st level buff spell, I would suggest that the non-scroll items would all be 1d6 x 10 gp per use and would take 1d6 days to make. Hades as a concept is not only useful as an inspiration for the Aidisian Empire and how it functions, but it is also fodder for influencing the geography of the campaign. 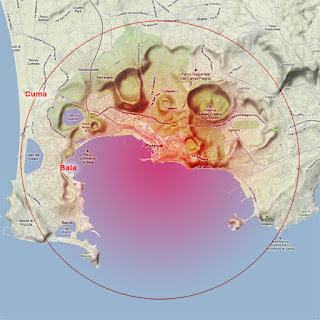 According to the Aeneid, the underworld had an entrance close to the volcanic Lake Avernus which is located near the city of Naples. Here is where I go really old school. The best fantasy maps are really just maps of real places that have been rescaled, turned upside down and/or relabelled. Therefore I am going to start here by changing the scale and re-labelling things. 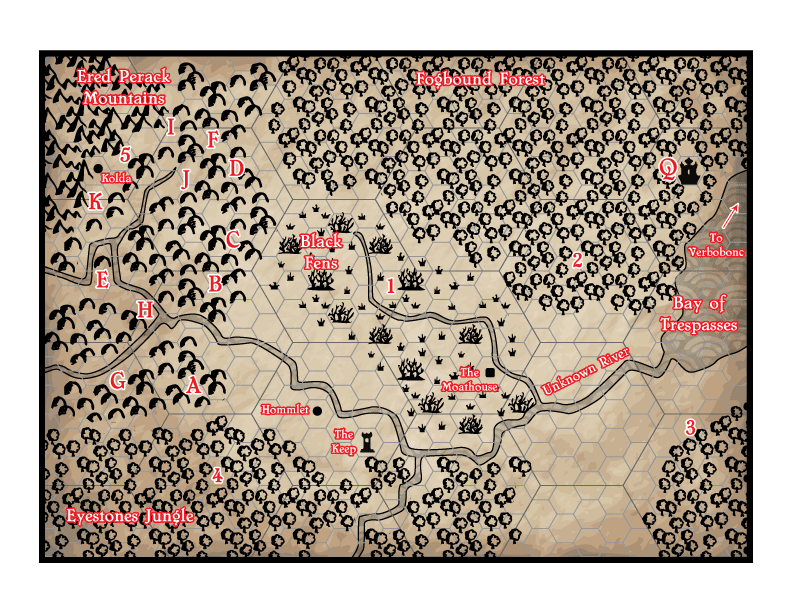 Here is another tid bit of advice from a guy who has run a lot of games over the years and has drawn a lot of maps: practically, most of a typical fantasy campaign happens within an area approximately 20-30 square miles. There is really no real need to do any kind of serious mapping beyond that. Generally, I will have abstract ideas pencilled in like, “there is a big jungle to the south” or “the Great Kingdom is to the east” or “there are barbarians to the north.” Sometimes those notes become relevant. Most of the time, they don’t. Thus, whenever I begin a campaign, I stick to a map that is approximately 20x30 miles and it generally serves me very well throughout a campaign. In the 9th Chapter of his Epistle to Diognetus, Mathetes understands death as a natural consequence for humanity’s sins against God. This understanding, of course, comes from Judaism which forms the foundation upon which Christianity is established. In paganism, death is better understood in context of the person of Hades/Pluto, or whatever name the God of death in a pagan pantheon goes by. I mention the name Hades because not only is that Puto’s name under the Greek pantheon, but it was used by the Romans as the name for Pluto’s kingdom of the underworld. Rather than a consequence of human sin, death is just the way things are in paganism. Pluto, being the God who rules the realm of death, is someone who needs placated so that one’s experience under his rule is tolerable. Interestingly, the pace of the dead in Judaism — Sheol — is very similar to the Greek and Roman conception of Hades. Both are seen as being underground and dark. In fact, when Greek speaking Jews began translating the OT into Greek beginning in the 4th century B.C., they translated the Hebrew Sheol (שְׁאוֹל) as Hades (ᾍδης). The Greek word ᾍδης suggests a name for the Empire — the Aidisian Empire or Aidisia. In certain applications of old school D&D play, the Mythical Underworld plays a large role in how dungeons work. Doors for PCs are all locked while they open easily for monsters. PCs can’t see in the dark (even with ultra- or infra-vision), while monsters can. As parts of the underworld are cleared out, monsters are replaced and even geography changes. The question becomes, how much of this reality bleeds out onto the surface world within the Aidisian Empire? Another question is the relationship of the Mythical Underworld, the person of Hades, and the God-Emperor of Aidisia. I am most tempted to understand them as three different entities. The Mythical Underworld is a manifestation of the Natural Order being corrupted by Chaos. Hades is a demon that has tempted humanity onto the path of Chaos. The God-Emperor has embraced lichdom through the influence of the demon Hades. In order to pay homage to early versions of D&D, this demonic version of Hades can be replaced with Orcus. Since the Mythical Underworld has such a significant influence on the Aidisian Empire, this suggests that it is easily accessed. The adventure trope of the Temple suggested from Mathetes’ description of idols being guarded from theft suggests that the primary bleed points of the Mythical Underground into the world at large are the pagan temples. This, in turn, suggests that every pagan temple has a dungeon complex underneath it. Finally, there is the question of what relationship the Artanian Church has to the Mythical Underground. Historically, Christianity met secretly in house churches and catacombs. In older editions of D&D, the end game involved conquering a piece of Wilderness and making it into the demesne of a PC. Would the “end game” of this nascent campaign world be to conquer sections of the underworld to be consecrated as safe havens for Artanians to congregate? So, my brain won't let go of the idea to place those great introductory TSR modules B1, B2 and T1 all on the same map. Despite the fact that Gygax gives a very detailed description for the location of the Village of Hommlet, placing it in Greyhawk, I have no real desire to use TSR's first flagship campaign world. For one, while the location works great for T1, there really is no place to put the locations of B1 and B2 to my satisfaction. Secondly, I am far more of a Judges Guild kinda guy, and the freedom I have to mess with the Wilderlands is exactly the sorta thing one needs for a project like this. Thus, I ended up using about 20 or so hexes from Campaign Map Two, aka Barbarian Altanis. BTW if you haven't picked up Rob Conley's colored maps of the Wilderlands, do yourself a favor and get them. Rogahn and Zelligar (see B1) fought off a barbarian horde, which can now be understood to be Altanians. 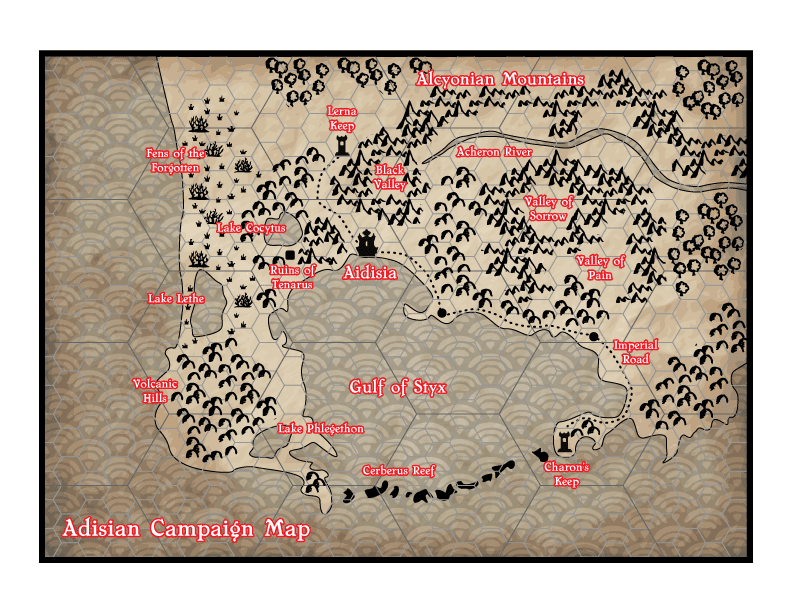 There is an unnamed castle up the coast (and off the map below) that is led by a 7th level Lawful Good Cleric. Since we need a place from whence the followers of St. Cuthbert led a crusade against the ToEE, this castle makes a nice stand-in for Verbobonc. There is a Dwarven village (Kolda) at the foot of the Ered Perack Mountains that can nicely serve as the warning sign that humanoid activity in the Cave of Chaos has come to a head. The town has been overrun and Dwarven refugees will be a source of information both in the Village of Hommlet and the Keep. There is both a keep and a village in close proximity on the map that lend themselves very nicely to be the location of Hommlet and the Keep. There is a swampy patch of land with lends itself to the Mound of the Lizard Men from B2 as well as a place to locate the Moathouse from T1. South of the map below, there is a lair of Owlbears, justifying the inclusion of the Owlbear in Cave G.
The name Fogbound Forest just seems a great place to put Quasqueton. Finally, there are a bunch of hills at the foot of the Ered Perack Mountains which allow for the Caves of Chaos to be spread out in a more realistic manner. 5 = The Cave of the Unknown (B2): Meant to be utilized by a newbie DM to create their own dungeon, this Cave is intended to serve the same purpose with one twist — the Dwarves of Kolda knew of and began to explore this place before abandoning the project due to what was down there. The great conundrums of the human experience have always been suffering and death. Mythologies, religions, and even political systems always try to explain why they are necessary and how to move beyond them. In the pagan world-view, the gods are petty beings that cause all kinds of problems. When they become angry, natural disasters follow. Thus, the sacrificial system that pagans employ is based on the hope that such offerings will keep a certain deity placated as to avoid disaster. When disaster inevitably happens, it is explained away by claiming that the sacrifices made were not enough. by anything other than God Himself. Christ Himself became the sacrifice so as to pave a path for all of humanity to overcome suffering and death by entering into His Kingdom. Note how vulnerable the pagan sacrificial system is to abuse by those in power. If one has the ability to either predict or manufacture disasters, this knowledge could be used to demonstrate how the gods are angered by political opponents or by certain philosophies, activities, etc. It is ripe for using in order to oppress those under the influence of the pagan power structure. Christianity is a threat to those interested in power. It always has been and always will be. Christ empowers the individual to move beyond the influence of power. By trampling down death by death he removes fear for those who have faith in Him. Those in power have nothing to hold over or threaten a Christian. This is why the martyrs were able to endure. The Roman Empire exerted all of the power it had at Christianity and still the martyrs endured and even convinced others in the face of death to accept Christ. Thus, in a world where the Empire is pagan and has the ability through magic to manufacture disaster and death, the pagan system of sacrifice is going to be a tool of those in power to keep and maintain that power. In turn, any Christianity/Church analogue is going to be understood to be an existential threat to those who wield that power. One of the wonderful things about being an Orthodox Christian parent is that at this time of year I get to declare with full confidence that Santa Claus is real. Go read 'Twas the Night Before Christmas again. While the physical description may very well conform to our modern conception of the guy in the red suit, he is referred to as St. Nick. 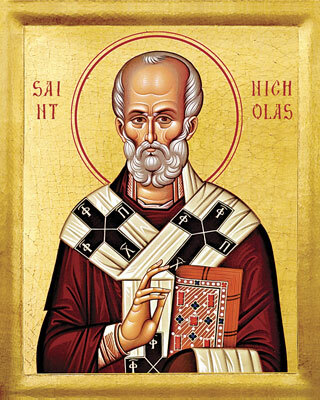 In the Orthodox Church, St. Nicholas is held up to be the exemplar of what it means to be a bishop. Hymns are sung about him all year long and he is one of the most popular saints in the Orthodox world. Many of the Christmas traditions associated with Santa Claus we have today are actually in memory of real events from this great bishop's life. For example, we hang stockings above the fireplace because he was know to sneak into the night to place gold into the stockings of those in need. Specifically, he overheard a poor man lament that his daughters would be better off as slaves because he had no dowery money to marry them off. To prevent this, St. Nicholas secretly provided those dowries by placing gold in the daughters' stockings as they were drying over the fire. So, today on this the Feast of St. Nicholas, I wanted to share a cool dad moment related to St. Nick. 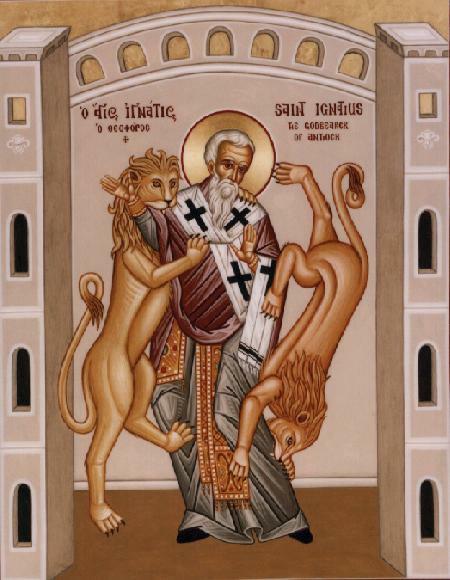 Yesterday, as my eldest was confirming that we were going to celebrate a liturgy for the feast, she related to me her favorite story from the life of St. Nicholas: she smiled as she said, "When he slapped Arius!" For those who don't know, Arius was the heretic that held that Christ was created and was the impetus for the First Ecumenical Council, of which St. Nicholas was an attendee. In an attempt to snap Arius out of his delusion, the great bishop tried to slap him back into his senses. Can you tell we play D&D in this house? For, who of men at all understood before His coming what God is? Do you accept of the vain and silly doctrines of those who are deemed trustworthy philosophers? of whom some said that fire was God, calling that God to which they themselves were by and by to come; and some water; and others some other of the elements formed by God. This is one reason I dislike later editions of D&D. Starting with 2e, D&D took a hard turn towards a pagan world-view and hard-wired it into the mechanics of the game. Domains represent the “silly doctrines” of pagan philosophers who say that fire was God. 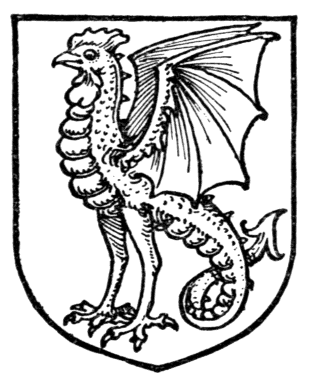 In later editions of D&D, deities only have dominion over certain aspects of creation and as a result, their clerics can only use certain powers or spells. Christ, through whom all things were made, has dominion over everything, including death, disease, decay and even demons. It makes absolutely no sense to me to assign Christ or a Christ-like analogue to a couple of later-edition D&D cleric domains. It demands that the Fashioner does not have dominion over what He fashioned. To put in another way, one of the radical differences between the Christian and pagan world-views is that the Christian God created from nothing. Therefore everything owes its existence to God. No pagan would ever even consider the idea that the various pagan deities did anything other than create from some pre-existent matter. As an example that inspired one of early D&D’s great primal villains, in the Babylonian creation myth Marduk slays the dragon Tiamat and from her body creates all of the various pieces and parts of the world. Humanity is created by squeezing the blood from the dragon’s heart. This is why humanity is flawed and evil. This, like so many other myths, impugns the various pagan deities with flaws and mistakes that reveal them to be, well, rather human. Sin, in the Christian world-view, is introduced by humanity not God. Humanity is revealed to be utterly incapable of overcoming sin through the Law. Thus, the only way humanity is capable of overcoming sin and death is through God Himself. With cleric spell lists inspired by the miracles of the saints, older editions of D&D make it far easier on me to build worlds based on a Christian world-view and to construct analogues like Artanianism. So, Into the Borderlands, published by Goodman Games, arrived in my mailbox yesterday. It is a late-arriving birthday gift and, boy howdy, is my inner gamer all kinds of distracted. For those not familiar, Into the Borderlands is a lovely little piece of gaming history which compiles the Holmes-era and Moldvay-era editions of both B1 and B2. In addition, there are some essays by various luminaries of the gaming world, three different exercises in stocking B1, and a 5e update of both modules. Of the essays I have managed to read (the rest of the book is very distracting, so please excuse my inattentiveness to the introductory material), the thrust is that these two modules stand as the gateway to not only as the starting point for many a campaign, but how to play the game of D&D for an entire generation of gamers. Although my copy of the Homles Basic Edition Box came with the mono-chromed cover version of B1, and I certainly spent a lot of time looking through its pages, the sentiments expressed in these essays do not really apply to me. I have never used either B1 or B2 in any campaign I have run nor have I ever gone through them as a player. I learned how to play the game from older players who were willing to put up with me, because I was a slow reader when I was young and all of D&D's text was over my head for a number of years to come. 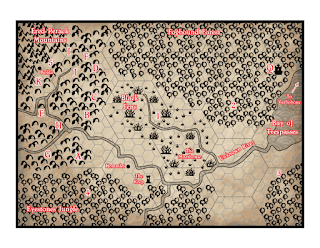 As long-time readers of this blog know, the one module that stands out in my playing experience is T1:The Village of Hommlet. I have used it a number of times as the starting place for a campaign. I have re-imagined it in all kinds of different scenarios and it still is my favorite TSR-era module. This is in part because, not despite the fact, that we never really got the Temple of Elemental Evil until years after the fact and the one we got fell way below expectations. Again, long-time readers will be well familiar with my various escapades and creating my own version of ToEE. Why not re-skin Quasqueton as the Temple of Elemental Evil? It makes a twisted kind of sense. The two builders of B1’s dungeon were Chaotic, the place has some wonderfully weird rooms that can be re-skinned with elemental clothing and it would take a mere hand wave to explain its abandonment with the crusades of the followers of St. Cuthbert. One could also re-skin the Shrine of Evil Chaos in the Caves of Chaos as a fall-back position by the survivors of the cult and the Boathouse from T1 could still stand in as a forward position by the Cult as they seek to re-establish themselves after licking their wounds. To boot, there is nothing that is preventing me from placing higher HD creatures with an elemental twist within all those lovely blank spaces between the covers of B1. Now that I have settled on the trinitarian metaphor for the Christianity/Church analogue of Artaniamism, it is time to decide on a holy symbol and therefore some of the story behind the Incarnation of the Christ figure Arta. As with Christianity, the symbol will derive from how Arta dies. Do you not see them exposed to wild beasts, that they may be persuaded to deny the Lord, and yet not overcome? Do you not see that the more of them are punished, the greater becomes the number of the rest? This does not seem to be the work of man: this is the power of God; these are the evidences of His manifestation. Thus, the Artanians do not fear death by wild beast. I am willing to imagine that this is because Arta died in a similar way and yet overcame death through his resurrection. 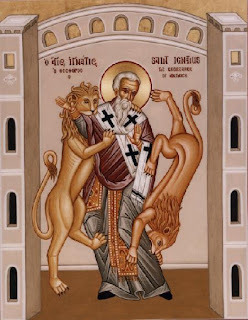 While this would make for a really interesting holy symbol, lions don’t really fit as nicely into the trinitarian metaphor of Artanianism as I would like. It is this last one that intrigues me the most, because it plays very nicely into the Artanian metaphor. Victims are turned into stone — they are turned into statues. They are turned into a form of art. How cruel would it be for victims and their families that their death visage could be put on display to be mocked and spat upon for all to see? Basilisks as presented in D&D are probably too dangerous a beast to keep in captivity unless there were an entire class of basilisk handlers that were voluntarily (or involuntarily) blinded. Regardless, using a D&D basilisk would severely limit the ability of the Empire to conduct public executions in this particular way. I wouldn’t put it past some of the aristocratic families from having such beasts for the purpose of having private executions, however. If one goes to heraldry and how the basilisk is depicted, it appears as what we who play D&D would call a cockatrice. Now here is a beast that would be much easier to keep and use for public executions. The spectacle of such an execution could be amplified by having the cockatrice on a chained leash that could be lengthened or shortened. Thus, a victim could be toyed with as the cockatrice is kept just out of reach long enough for the victim to suffer more and to present the best “pose” for their death. To continue yesterday’s post, one of the factors that I want to consider when choosing which metaphor to use to express the Christianity/Church analogue for this nascent campaign world is the world itself. Thematically, I want it to run counter to the prevailing culture so as to heighten the differences between the Empire and the Church. The first is the basis for the analogue I use in my Lost Colonies campaign. 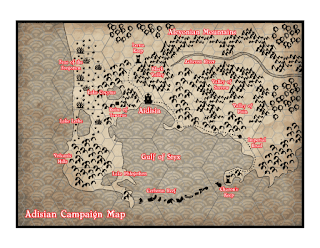 While I could drop this campaign idea into my existing campaign world, I went into this project hoping to have something that was separate from everything I have done before. Therefore, despite the confrontational title of “King of All” in contrast to the Empire’s God-King, I am going to pass on this option. I am really tempted to use the second, because it contrasts beautifully with the undead factor that exists within the Empire, but it poses the most difficult concept to tease out in terms of a trinitarian metaphor. I am going to pass on this as well. The last two are very similar, and I must admit I was inclined to use them primarily because neither term is Scriptural — it allows me to push the envelope of this whole pattern in a new direction. They both contrast with the Empire in the same way that Savior does, but in a more subtle way. While the Empire fashions idols, golems, constructs and undead, the Trinitarian God of the Christian/Church analogue fashions everything. This also fits nicely within Orthodox Theology which holds that beauty is a place where we can encounter the divine. Since the Empire is roughly based on Rome, I am inclined to have a Latin-esque feel to naming things. Romanian is my default source for Latin-sounding names because, of all the Romance languages, it is the closest to Latin. Indeed, it could be argued that Romanian is modern Latin. Artisan in Romanian is Artizan, which could be truncated to Tizan. Art is Arta, where the last ‘a’ is supposed to have a mark over it indicating the pronunciation of ‘uh.’ Ironically, if an American were asked to pronounce ‘Arta’ that’s probably how they’d pronounce it anyway. Finally, the word Beauty is Frumusete, which is a bit complicated for my taste. If one goes with the word Beautiful, however, the Romanian is Frumos, which sounds about right. Since the name of Christianity comes from the Second Person of the Trinity, the name of the analogue will be Artanianism and members will be called Artanians. In the 7th Chapter of his epistle to Diognetus, Mathetes explains that the basis for Christians behaving in such a different manner than the rest of society is not to be found in any philosophy or other human-derived source. Rather, the source of all things Christian is God. God Himself, who is almighty [παντοκράτωρ], the Creator of all things [παντοκτίστης], and invisible, has sent from heaven, and placed among men, [Him who is] the truth, and the holy and incomprehensible Word, and has firmly established Him in their hearts. Creator [τεχνίτην] where the greek means Craftsmen and is the root of the English word Technician and interestingly is not attributed to God in Scripture. Fashioner [δημιουργὸν] where the Greek means one who pursues public affairs, builder or artisan. Like τεχνίτην this is never attributed to God in Scripture. what the soul is in the body, that are Christians in the world…The soul loves the flesh that hates it, and [loves also] the members; Christians likewise love those that hate them. The soul is imprisoned in the body, yet preserves that very body; and Christians are confined in the world as in a prison, and yet they are the preservers of the world. Enable us to offer You gifts and spiritual sacrifices for our own sins and the failings of Your people. Deem us worthy to find grace in Your sight, that our sacrifice may be well pleasing to You, and that the good Spirit of Your grace may rest upon us and upon these gifts presented and upon all Your people. Again we offer You this spiritual worship for the whole world, for the holy, catholic, and apostolic Church, and for those living pure and reverent lives. For civil authorities and our armed forces, grant that they may govern in peace, Lord, so that in their tranquility we, too, may live calm and serene lives, in all piety and virtue. And remember those whom each one of us has in mind…Remember, Lord, this city in which we live, and every city and land, and the faithful who live in them. Remember, Lord, those who travel by land, sea, and air; the sick; the suffering; the captives; and their salvation. Remember those who bear fruit and do good works in Your holy churches and those who are mindful of the poor, and upon us all send forth Your mercies. If one goes to the Anaphora of the Liturgy of St. Basil, this list is even longer and more specific. In other words, the Divine Liturgy is not done just for the people in the pews. It is offered up for the entire world. From the perspective of spiritual warfare, Orthodox Christians (and, in particular, monastics) are front line fighters taking on the demons where they live and trying to make the world a better place through asking God to have mercy and forgive all those that we bring to mind — even those who hate us and hate God. In context of D&D, especially when one considers such tropetastic, classic modules as B2: Keep on the Borderlands, this life style of going out to where demons reside (i.e. Chaotic monsters) and to do those things that the rest of Civilization isn’t willing to do to make Civilization a safer place is exactly what the D&D adventurer is actually doing. The typical D&D character doesn’t quite fit into the social norms of civilized society, and may even be despised. Yet, because they are going out into the lairs of various monsters, they are keeping society safe despite themselves. Thus, in this nascent campaign world, when charges are leveled against the Christianity/Church analogue those charges are going to be false. The Church is out to help society, to improve the lives of everyday people. They will be willing to risk their lives to do so. Thus, despite all of the risks, all of those Christians from all the various walks of life within the empire are going continue to strive in their own ways to make the world a better place. Today, I am going to take a break from my series on the Epistle of Mathetes to Diognetus to write about one of the better American movies I have seen in a long time. Recently, I went to see Gosnell. The movie follows the detectives and prosecutors involved in the arrest and trial of one of America’s most prolific serial killers; however, let’s be upfront. Despite the protestations of several of its characters and the movie’s focus on the trial and its proceedings, Gosnell is a about abortion. This is subtly made clear by the movie’s main character, detective James Wood. In the opening scenes he is shown three times telling people in his life, “As I see it, you have two choices…” We are never told what those two choices are; however, in context of the movie the two choices are meant to be: do you side with Gosnell or not? do you side with a legal system the enables Gosnell or not? do you side with the institutions that made Gosnell possible or not? The purpose of this post, however, is not to go on some political screed about how awful abortion is (although, I will admit that seeing my eldest daughter dance inside the womb at 11 weeks in response to the laughter of my wife has had a major impact on my opinion on the matter). Rather, it is to meditate on how Gosnell is one of the best horror experiences I have ever had in the movie theater and how that repeated statement by detective James Wood is instrumental in making Gosnell into the masterful, if unconventional, horror movie that it is. I am rarely actually horrified by what I see on screen. The graphic violence shoved down my throat always pales in comparison to what my own imagination had been envisioning up until the point that the fake blood and guts started flowing. Gosnell, on the other hand, not only succeeds in horrifying its audience, but it also trusts in the audience’s own imagination. By framing the movie with the implied moral choice that results in Gosnell, the movie effectively implicates its audience in what is happening on screen. The audience, in part, is responsible for what happened inside Gosnell’s house of horrors. Thus, the movie effectively holds up a mirror to its audience and makes it squirm with horror at what it sees. Gosnell also staunchly refuses to show virtually anything. Gosnell collected the feet of his victims in bottles of formaldehyde, but this is as graphic as anything shown on screen. When detective Wood finds these bottles while investigating the inside of Gosnell’s “clinic,” an abortion takes place — off screen. All we see is the blood on Gosnell’s surgical gloves. Left alone to our own imagination, the horror of what went on inside that building is amplified well beyond anything that special effects artists or CGI could ever accomplish. This is how I run horror in my campaigns. I allow my players to have the freedom to make moral choices, to see the consequences of those choices and to leave most of the graphic stuff up to their own imaginations. As I have said on more than one occasion, if you want to see a monster look in the mirror. Gosnell is an experience that makes you do exactly that. For the Christians are distinguished from other men neither by country, nor language, nor the customs which they observe. For they neither inhabit cities of their own, nor employ a peculiar form of speech, nor lead a life which is marked out by any singularity. The course of conduct which they follow has not been devised by any speculation or deliberation of inquisitive men; nor do they, like some, proclaim themselves the advocates of any merely human doctrines. But, inhabiting Greek as well as barbarian cities, according as the lot of each of them has determined, and following the customs of the natives in respect to clothing, food, and the rest of their ordinary conduct, they display to us their wonderful and confessedly paradoxical method of life. For those interested in power, this is a very dangerous idea. Power is gained and maintained by pitting artificially created groups against each other. In context of an FRPG, this suggests that Christians can be found in all walks of life, including those who walk in such circles as the imperial family. Thus, one of the first questions that I asked at the beginning of this series (Is Diognetus sympathetic to Christianity?) seems to be answered here in the affirmative. Given the horror show I spun out of the phrase that Christians “do not cast away their fetuses,” Diognetus now appears as someone truly horrified by what he has witnessed walking through the upper echelons of society and wishes to find out more of Christianity to see if it is a more agreeable way of seeing and living in the world. This also means that Christian NPCs can be sprinkled everywhere in the campaign, possible creating a very interesting espionage feel to the background noise of a campaign. Should PCs be Christian, they’d be constantly tested to see if they could be trusted and then secretly allowed in to various parts of society. If the PCs aren’t Christian, then they could possibly be constantly be spied upon. They marry, as do all [others]; they beget children; but they do not destroy their offspring. The translation here is more poetic and practical than literal — “destroy their offspring” literally means “cast away fetuses.” I always find it fascinating how little human behavior changes over time. The ways in which modern Americans behave in a similar fashion to pagan Rome and the ways in which Christians criticize such behavior in both contexts never ceases to amaze me. These creatures are so like ghouls as to be completely indistinguishable from them…however…they exude a carrion stench in a 10’ radius which causes retching and nausea unless a saving throw versus poison is made. In addition, while the stat block of ghouls indicate they have low intelligence, the ghast stat block indicates that they are very intelligent. Imagine, for a moment, that the reason the Empire so blithely “casts away fetuses” is that not only are they considered delicacies by the aristocracy, but are an important rite of passage for the upper classes. Regular consumption of dead human flesh turns the aristocracy into “undead.” This process destroys the minds of the weak, thus culling from the aristocratic class members who cannot stoop to such debauchery. This all suggests that the elders within aristocratic houses are all ghasts and regularly hold fetes where human fetuses are the center piece of the main course. Since ghasts exude a rancid stench of such potency as to require a saving throw, perfume would be in very high demand among the upper echelons of the imperial elite. This all implies the delicious irony that PCs who throw their lot in with one of the aristocratic houses will be working for a baby-consuming ghast. It would be very interesting to see player’s reactions when they realize the truth. In yesterday’s post, I felt rather unsatisfied with my musings about the ways that solar cycles affect the magics of the pagan priests of the nascent campaign world that is emerging from my study of the Epistleof Mathetes to Diognetus. As a consequence, I did a bit of research about the religious cults of Rome prior to Christianity and found some very interesting tidbits. The patron god of Rome was Mars, who was originally an agricultural deity. It wasn’t until Rome began to expand its territory by force that Mars morphed into a god of war. By the time of Christ, however, Mars had largely been supplanted by the Emperor Cult. This reinforces my instinct to use the anti-cleric as one of the pagan priest classes. Since war is a central theme within the Mars/Emperor Cult, it seems appropriate that their priests should be able to fight. The anti-cleric fits this profile nicely and also backs up the idea of an undead slave economy where priests of the Emperor Cult are called on to be the main controllers of the undead slave population. One of the oldest cults imported by the Romans from other cultures was that of Cybele. Originally a goddess from Asia Minor, Cybele became popular during the Second Punic War when Rome narrowly defeated Carthage. While Cybele was an earth-mother goddess, she was also seen as a protector in times of war. Of interest to my current project, priests of the Cybelean Cult were eunuchs. Thus, my instinct for having low born magic-users be both male and castrated was more spot on than I thought. This is further reinforced by the demographics of one of the most popular mystery cults in Rome, Mithraism. Cultists were exclusively male and almost universally low born. What really interests me about Mithraism, however, has to do with yesterday’s post. In its art. the cult almost always depicted Mithras sacrificing a bull surrounded by various creatures. These were most often a dog, a scorpion and a serpent. All of these animals correspond to constellations. We don’t know a lot about the practices of the mystery cults, but there is some interesting scholarly work that hypothesizes that the emphasis on animals corresponding to constellations indicates that the cult paid attention to how the position of the sun related to each of these constellations through the course of the year. In other words, the bonus spell available to pagan priests could be determined by which of the constellations is currently closest to the sun. I also plan to include a period of the year in which the sun is roughly equidistant from these constellations and, therefore, no bonus spells are available. In Jewish practice (at the time of Mathetes and Diognetus), the day begins at sunset when three stars are visible in the sky. As an aside, one of the most aesthetically pleasing games I have ever played is Dragon Pass, Avalon Hill’s reprint of Chaosium’s White Bear & Red Moon. I own a digital copy just for the sake of mining it for ideas. I have always far more enjoyed reading the background text and looking at units and maps than I ever did actually playing the game. One factor that always intrigued me was the idea that the Lunar Empire had troops whose Combat Factor was reliant on the phase of the Red Moon. Since the religious observances of the Jews noted by Mathetes are reliant upon a lunar calendar, as opposed to the solar calendar used by the Empire, I am sore tempted to add some mechanics that suggest the arcane magic ebbs and flows according to various astrological bodies. I am further tempted to have these mechanics differ between the Vrayosi, whose magic is affected by the moon, and the arcane casters of the Empire, whose magic would be affected by the sun. The mechanic I am most inclined to use is the concept of a bonus spell. In favorable times, the caster gets a bonus spell. If I am feeling ambitious, this spell may even be a specific spell associated with the time of the year/month. During unfavorable times, those bonus spells just aren’t there. There are, however, other spell mechanics which might prove interesting, such as duration, range, damage, area, etc. One could go to the Metamagic Feats of 3e for ideas and inspiration. At full moon they gain the equivalent of a +2. At new moon they are -2. During the 1d4+1 days prior and after that bonus/penalty is decreased by 1. I must admit that I would probably make players roll on a random table to see which effects take place. At this point, I am thinking that the Empire version of arcane magic gets the bonus spell (at sunrise? noon? sunset? ), the Vrayosi version of arcane magic gets a random metamagic feat and all Vrayosi get a bonus/penalty. At first blush, ritual scarring comes to mind. While this has a visceral quality to it, the minimalist in me is begging to take this idea in a completely different direction. I am already inclined to re-skin elves as Jews since they can use arcane magic in a way humans can’t (wearing armor) and are alien enough mechanically and physically to fill the role. The problem is that the whole arcane thing was meant to describe the priest-class, not the people as a whole. This is where my minimalism kicks in. Let me first explain what I mean by minimalism: using the rules as is with as little mechanical fiddling as possible in order to emulate as many different campaign world concepts as possible. Since my default rule-set is B/X, this means finding roles within the campaign world that can be used to re-skin the extant classes of cleric, dwarf, elf, fighter, halfling, magic-user and thief. In this case, I believe I have a means if re-skinning all of the race-as-classes. In the older editions of D&D, the three main demi-human races are all significantly shorter than humans. In B/X Dwarves average 4 feet, elves 5 to 5.5 feet and halflings only 3 feet. This can fit very nicely under the umbrella of “lessening of the flesh” especially if there were a religious ritual performed on an eight-day old child that would guarantee that it would grow up to be a dwarf, elf or halfling. In Greek, the phrase “lessing of the flesh” can be roughly translated as μείωση της σάρκας which can be truncated to “meostarkas,” which will refer to the ritual which begins a baby’s journey to become a race-as-class. Thus, I am not only re-skinning elves as Jews, but dwarves and halflings as well. Elves get to play the role of the priestly class. Dwarves get to be soldiers. Halflings get to be archers. All of the various racial abilities are no longer environmental evolutions, but rather gifts from God for His chosen people. Hebrew in Greek is Εβραίος. Transliterated Evrayos, this can be contracted to Vrayos; however, for reasons you will see below, I am going to go with Vrayosi. Archer in Greek is τοξότης. This can be transliterated as “toxotis.” To rhyme it with “Vrayosi,” “Elviti,” and “Strati” this can be slightly contracted to Toxoti. Thus, all demi-humans are called Vrayosi. Under this general term are three different tribes: the Elviti (elves), the Strati (Dwarves), and the Toxoti (Halflings). Note: should a Vrayosi fail to go through the ritual of meostarkas, they will grow up to be human. …those who imagine that, by means of blood, and the smoke of sacrifices and burnt-offerings, they offer sacrifices [acceptable] to Him, and that by such honours they show Him respect, —these, by supposing that they can give anything to Him who stands in need of nothing, appear to me in no respect to differ from those who studiously confer the same honour on things destitute of sense, and which therefore are unable to enjoy such honours. The only real difference that Mathetes sees is that the Jews recognize the true God and the pagans do not. In contrast, Mathetes claims that Christians do not share in these religious practices. On the working hypothesis that elves are to stand in for the Jews in this campaign world, the similarity between pagan and Jewish rites suggests that both practice arcane magic (reinforcing the elf-as-Jew idea). It also bolsters the idea that the Christian/Church analog use a different kind of magic (divine). Given the emphasis placed on sacrifice, this passage also suggests that material components ought to play a large role in the casting of arcane magic. In contrast, divine magic would have none, since Mathetes makes a big deal about how sacrificing things to the creator of all things makes no sense. I must admit, however, that I have never been a big fan of material components save for the odd adventure where a specifically rare component is needed in order to accomplish a major goal in a campaign. While there are opportunities to add flavor to spell casting, it always felt more fiddly than it was worth. Given that sacrifice in both pagan and Jewish rituals were fairly straight forward, most of the time (Christians got into trouble for not burning incense), I figure that the material components need not be all that complicated unless players want it to be. Thus, I would probably simply offer a generic pouch of spell components for a flat fee that would allow for, say, 50 spell levels worth of components. Given that magic-users don’t have a lot of stuff to spend money on at 1st level, I am thinking of setting the going rate at 1 or 2 gp per spell level. Thus, the paperwork involved in keeping track of material components is kept to a minimum and yet arcane magic gets to have that extra flavor and effort that further differentiates it from divine magic. Do ye not much more mock and insult them, when ye worship those that are made of stone and earthenware, without appointing any persons to guard them; but those made of silver and gold ye shut up by night, and appoint watchers to look after them by day, lest they be stolen? …and there it is. Yep, it is an excuse to include dungeon-delving in the campaign setting and to use that lovely old trope of the temple, no less. Implicit in Mathetes’ accusation when placed in a world of magic and monsters is a culture that expects expeditions into temples to steal gold, treasure and even a golem or two. I envision something akin to the shenanigans that rival colleges pull on each other during the week leading up to a football game. Fields get vandalized with the opponent's logo and mascots get stolen. In this campaign, however, it gets ramped up to a political/religious level. Imagine, for a moment, a political arena where aristocratic families vie for power and prestige through their patronage of a particular temple. The mob would be directed and influenced by a family’s ability to keep a temple flush with cash and equipped with expensive and impressive idols. Enter the adventuring party. With the need of plausible deniability, families would farm out the job of sabotaging their rival’s temples to adventuring groups. Indeed, the family wouldn’t even really need to see a cut of the treasure, save for possibly a stolen idol or a golem. Thus, the campaign has a built-in beginning adventure, built-in patron scheme, and a whole lot of political background noise to give players plenty of opportunity to get into all kinds of trouble. Is not one of them a stone similar to that on which we tread? Is not a second brass, in no way superior to those vessels which are constructed for our ordinary use? Is not a third wood, and that already rotten? Is not a fourth silver, which needs a man to watch it, lest it be stolen? Is not a fifth iron, consumed by rust? Is not a sixth earthenware, in no degree more valuable than that which is formed for the humblest purposes? Are not all these of corruptible matter? Are they not fabricated by means of iron and fire? Did not the sculptor fashion one of them, the brazier a second, the silversmith a third, and the potter a fourth? Was not every one of them, before they were formed by the arts of these [workmen] into the shape of these [gods], each in its own way subject to change? The most salient theological point is this last charge: if something is subject to change it has a beginning and an end. Should we place our hopes in things that end, we will literally be hoping in death and nothing. Christians believe that they are literally partaking of the God who has no beginning (and thus no end) for the purposes of receiving and sharing in God’s eternity. This is why early apologists harp on this point. Idol worship ultimately worships decay, disease and death since the are all indicators of change which is a fundamental characteristic of the nature of an idol. These accusations take on an even harsher tone when placed into an FRPG where such things as golems exist. In other words, the fabricators of these idols would be magic-users capable of making facsimiles of gods who then can move and even speak under the command of those who either made or commissioned them. This paints a picture of a power structure within the empire where the paganism isn’t a faith, but rather a ruse used by those in power to keep the masses in check through awe and fear. It also indicates that not only does Mathetes know of these machinations, but that those within the circles of power are also aware. Thus, the Christian/Church analogue is even more of an existential threat to the power structure of the empire. To pick up on yesterday's post, it seems that the easiest solution to a pagan priestly class is that of magic-user, where arcane magic is a closely guarded secret of the upper classes. The Wizard’s Guild could be akin to the eunuchs of the Forbidden City in imperial China. In order for the hoi polloi to access to the secrets and powers of arcane magic, one must renounce family and the ability to reproduce. Outside of possibly the upper echelons of the aristocracy, this would mean female magic-users would be virtually nonexistent (and why female clerics may be far more prevalent within the Christianity/Church analogue than one might normally expect). The other implication here is that stone, brass, wood, iron, clay, silver and gold (which is mentioned later in the chapter) golems not only exist, but are commonplace in temples. This would necessitate the creation of new golem types (like silver and gold) and classes of golems that would be vulnerable to certain types of attacks or magic (so that they could be reasonably dealt with by lower-level adventurers without doling out magic weapons). One possibility is to classify lesser golems as subject to a Cleric’s Turn Undead ability under the assumption that necromancy and dead body parts play a larger role in the cheaper/lower quality types of golems. In context of an FRPG (especially D&D), this is a very juicy quote. In a world where death can be overcome through undeath via arcane means, the despising of death comes with it a whole new set of possibilities. Imagine, for a moment, that the slave economy found in an ancient Rome were powered, not by human labor, but by undead labor. Then imagine there arose a religion whose practitioners not only could Turn and Destroy Undead but saw undeath as heinous. Imagine that they insist that the body is an integral part of the human person and that every human person is valuable, unique and unrepeatable. This would lead to an explosive situation where the Roman Empire analogue is going to see the Christianity/Church analogue as an existential threat. This implies that the Turn Undead mechanic is exclusive to Christian clerics. This would necessitate re-skinning other classes to be pagan and Jewish priests or the creation of two whole new classes to fill these roles. The 5E Warlock would do nicely as a pagan priest-class. One could replace the Turn Undead mechanic with a “Lay on Hands” type of ability that would siphon hp from the pagan priest to their target. This could also be used offensively to siphon hp from victims to heal the priest. This would fit with the suggested necromantic/undead theme. I would also fiddle with spell lists. One could also just require that pagan priests be anti-clerics and that Turn Undead is actually Control Undead and that they have to cast all the reverse spells within the Cleric spell list. Pathfinder has introduced the idea of a Sorcerer who casts divine spells. In 1E this is the Oracle and in 2E the sorcerer’s bloodline can grant access to the divine spell list. This would be an interesting way to emulate the Jewish priest class. 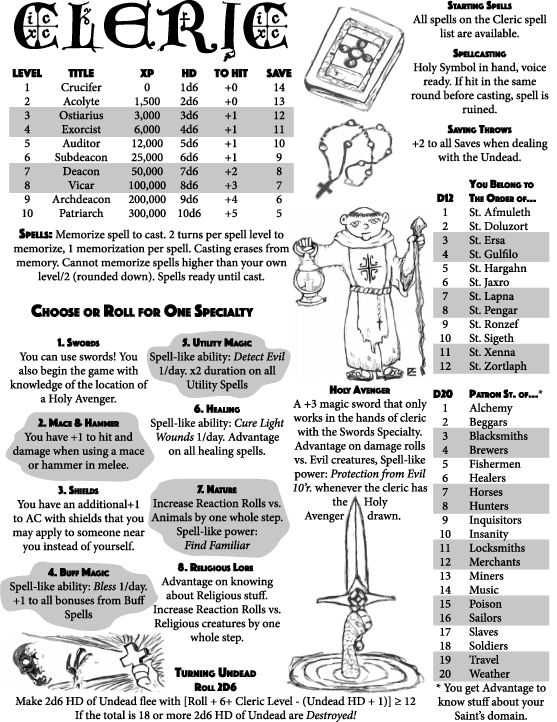 In B/X, by trading out the use of armor and weapons and limiting the number of spells known, a divine sorcerer could have access to spells at 1st level and be more of a spell-oriented class. Since I am unlikely to find any references to suggest the existence of demi-humans, it might be interesting to re-skin elves as Jews. Finally, if necromancy is so prevalent within the Empire, would the reason that citizens worship the Emperor as a God-King is the fact that the Emperor has actually embraced undeath as a lich as has been ruling for many generations? How common would undeath be among aristocratic families? Paganism, which is the state-sponsored religion. Judaism, which is tolerated by the Empire. Historically, Rome saw their Emperors as gods and it was a civic duty to offer sacrifices (usually incense) at the idols of the emperor. This is what got so many Christians in trouble — they were accused of being traitors to the empire. As a side-note, if one reads the hagiographies of the Great Martyrs from the first three centuries of Christianity, the most common means of death was beheading. This is significant because death by decapitation was the death of a citizen — because it was seen as swift and merciful. Thus, when a Roman official had a martyr beheaded, there was an implicit admission that the Christians were falsely accused of being traitors — they were citizens. Judaism was tolerated by Rome because the Jews had no real political aspirations that were seen as a threat. Indeed, Jews sought to separate themselves from the general population and were happy to live out their lives with as little interference in the workings of the Empire as possible. Of note, the word “holy” literally means to set apart. So, the Jews understood their non-participation in the culture around them as an integral part of living a religious and holy life. Christianity was a threat to the pagans not only because they refused to burn incense at the idols of the emperor, but because one of the titles of Christ is King. Thus, unlike the Jews, Christians were perceived to have political aspirations that were in direct conflict with the empire at large. Christianity was a threat to the Jews for both political and religious reasons. Politically, the manner in which the Christians interpreted Scripture (which largely meant the O.T. during this period) threatened the power structures of Jewish society. Gone were the ritual laws that kept the priestly and political class flush with money and power. From a religious perspective, the Christians were actively seeking converts among the Gentiles. This flew in the face of the entire concept of what they understood to be holy. Additionally, should the empire ever have conflated Christianity with Judaism, the tolerance enjoyed by the Jews from the Empire could have rapidly eroded. The characters are primarily Jewish. This would largely involve discovering and dealing with threats to the protected status that Jews have within the empire. I could see this being a mission oriented campaign largely filled with information gathering and even some spy work. The characters are primarily Christian. This campaign would turn my usual archetypal campaign structure on its ear. I normally run (Christian) Civilization vs. (Demonic) Wilderness that fits nicely into the Law vs. Chaos alignment structure of B/X. In this case it would be (Christian) Wilderness vs. (Demonic) Civilization. This could potentially see an urban environment-as-megadungeon structure with the dungeon areas (catacombs) being the safe havens. It should be noted that while Christian characters could fit reasonable well within all three campaigns, that can’t really be said about pagan or Jewish characters. As a final note, as I write this, I am finding the need to come up with names for the various fantasy analogs that are making up this campaign. I don’t want to do that willy, nilly, however. I would prefer to use the text of the Epistle to inspire. I’ll wait and see what the text prompts me to do. Before I actually dive into the actual text of The Epistle of Mathetes to Diognetus, there is a lot of juicy information for world-building from the Introduction, which gives some historical background and context. Of interest to me is that we do not know who actually wrote this letter. The author is called “Mathetes” because he describes himself as a Disciple, which in Greek is Mathetes. For the purposes of world-building, this gives me a lot of freedom to assume the personage of the writer and to build whatever background I want for the needs of the campaign world. Justin Martyr: a 2nd Century Christian apologist, philosopher and teacher from Rome. Clement of Rome: Bishop of Rome from A.D. 88-99 and author of several Epistles that were considered for inclusion in the N.T. but were rejected because he was too far removed from the Apostles. Apollos: a Jewish Christian and co-worker of Paul mentioned several times in the N.T. who was important to the development of the churches in Ephesus and Corinth. The most important piece of information that can be gleaned from the introduction (from a world-building perspective), however, is the hypothesis on who Diognetus is. While there seems to be some disagreement among scholars as to who the recipient of the letter is, both the original editor and the editor of the updated version (“N.B.”) seem convinced that Diognetus refers to a tutor of Marcus Aurelius, who was Emperor of Rome from A.D. 161-180. This places the letter in the first part of the 2nd Century because Diognetus was tutor of the future emperor until about A.D. 132-133. Diognetus was a master painter and encouraged Aurelius to pursue philosophy. Philosophy and art are important to the upper echelons of society. The Christian/Church analogue is large and influential enough to garner the attention of the inner circle of the imperial family. Is the time-frame of the campaign to take place before or after the departure of Diognetus as tutor? If before, is Diognetus (and therefore other members of the imperial household?) sympathetic in their interest in the Church or is there a more sinister motivation? If after, is Diognetus still alive and, if so, is the reason he left the imperial household because he embraced the Church? If dead, was his interest found out and the reason for his execution? In the Orthodox Church, Advent begins on November 15th. While not as rigorous as Great Lent, it is still a time of fasting and prayer. (I highly recommend this approach, by the way, it radically reduces Christmas burnout and fatigue and I have found that over the years, Christmas has become one of my favorite holidays).Thus, during this period of the year, I do my best to live life a little more ascetically and spiritually. One way that I do that is to find a Church Father I have yet to read and take a deep dive. This being the first Saturday of Advent, it occurred to me that I have not blogged in almost six months. Part of this was due to some personal health issues and the fact that I haven’t really been all that interested in or inspired to think about gaming. When I cracked open Volume 1 of the Ante-Nicene Fathers, however, I had a rather interesting thought: What if I used one of the letters found within that volume as source material for an FRPG world-build? Today is the feast of St. Cyril of Alexandria. Born into a Christian family of means, he grew up studying science, philosophy and Holy Scripture. In his youth, he became a monk and was later chosen to be Patriarch of Alexandria in A.D. 412. St. Cyril looms large in the politics and Christological controversies of the 5th century. For anyone who is interested in history, this is a fascinating chapter in life of the Church. Heresy (most notably Nestorianism), political rivalries, rivalries between bishops, Ecumenical Councils, the Robber Council, violence and exile all swirl around the life of St. Cyril. He was the primary advocate of the orthodox position against Nestorius at the Third Ecumenical Council and though he died in A.D. 444, his theology played a large role at the Fourth Ecumenical Council in Chalcedon in A.D. 451. Ironically, both those who accepted and rejected the Council of Chalcedon hold up St. Cyril as their champion. There is a very rich history here, both historically and theologically that can be mined for all kinds of things; however, I want to return to St. Cyril because of something that is happening outside our hobby. I take great interest in apologetics and one of the more interesting Christian apologists on Youtube is a fellow named David Wood. I initially took interest in him because, like me, he comes to Christianity from an atheist background; however, his main interest is Islam. His best friend and roommate in college was Muslim and the two (both being on the debate team) took great interest in trying to convince the other that their religion is incorrect. In the end, David’s friend became a Christian. Currently, there is a series of videos being released on Wood’s channel called Islamize Me. The series is inspired by the movie Super Size Me where a documentarian decided to see what would happen to his health after eating only fast-food for a month. Wood and some of his friends pretend to become Muslim to see what the effects would be after a month. Given all of the various oddities one can find in Islamic sources, this series comes across as comedy with a sizable dose of biting satire. When one bothers to read the apologetic works of the Church Fathers, one will frequently find insults like this one. It is all part of the rhetorical style of their era, when debate was as much entertainment as it was serious and purposeful. I mention this because for so long we Christians have been told that we have no place in this hobby from both fellow Christians and people within the hobby. One of the main reasons I started this blog was to thumb my nose at this notion, inspired by the likes of St. Cyril. If a saint can defend the nature of Christ and the Gospel by declaring that the ideas of his theological opponent are the foolish frenzy of a crazed mind, surely I can play RPGs from a Christian point of view and create gaming material that speaks to that world view. Not surprisingly, I have had a lot of fun along the way, produced more stuff than I ever thought possible and have been able to meet a plethora of good folks out there in the hobby who I’d gladly spend an evening rolling some dice with. In the end, it goes to show that God gave us everything we have and that with Him is it possible to give Him glory using everything that He gave us, including RPGs, humor, satire and even the odd insult. One of the things that drives me batty about 5e has nothing to do with either the system or the mechanics. I really despise the presentation and layout. Awhile ago, I did an experiment to see if I could to a “Player’s Guide” for my Lost Colonies campaign world for 5e. It was a nightmare. Trying to figure out what a class can do at any given level is a chore that can result in looking up several different references in different parts of the rulebook. The process was so headache-inducing that I gave up trying. When my Gamer ADD-addled brain started thinking about treading down the 5e road again, I did not want the published core books (or any other books) involved. Dealing with just the SRD (while still too complicated in its presentation) makes things easier to deal with. Thus, when thinking about an Old School Hack of 5e, I want the presentation to be simple and easy to digest. One easy editorial decision that will make that process easier is to limit the number of levels covered in the game. 0e covers Fighters and Clerics up to 10th level and Magic-users to 16th. I have been playing this game since 1979 and I have only seen two characters make it to 9th level. I played one (a bard in 3.5 that retired at 9th level) and the other was a PC in my Lost Colonies Campaign (LL). Thus, from a practice experience POV, having a game only cover levels 1-10 seems perfectly reasonable to me. Of course, my experience is almost exclusively with xp being awarded according to older rule-sets where xp is not only harder to come by, but 1xp=1gp is the primary means of gaining xp (and in some cases it’s Arneson’s 1xp=1gp spent). Thus, in order to make levels 1-10 feel like a complete game, the xp needed for each level is going to need a slight overhaul. In 0e an 11th level Magic-user needs 300,000xp. Conveniently, if one were to use that number for the xp needed to get to 10th level, halving that for each level (effectively doubling the xp needed for each level) the xp needed to get to 2nd ends up being 1000. This number is half as much as what is needed in older editions of the game (thus, making leveling faster/easier for the modern gamer context) but is much higher than the 300 needed in 5e as written (which helps placate my own old school proclivities). Yes. 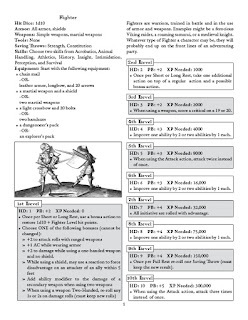 That is ONE page for everything needed to play a fighter from 1st-10th level. The Proficiency Bonus progresses slightly faster. I did this to make Fighters better at fighting in the long-term than Clerics and Magic-users. I replaced the 7th level Martial Archetype power “Remarkable Athlete” with the mechanics of the 7th level Barbarian ability “Feral Instinct” — advantage on initiative. I did this to keep the fighter class more focused on fighting prowess. I replaced the Martial Archetype power at 10th level with an Extra Attack (which would be granted normally at 11th level). Again, I did this to keep the focus of the class on fighting prowess. As I mentioned in my last Saintly Saturday post, my Gamer ADD-addled brain is busy editing the 5e SRD to reflect my own old-school proclivities. At the end of the day, though, I am not all that interested in editing it beyond the bounds of what could be called 5e D&D or to tie it so closely to a game world as to effectively create a new D&D-esque game with a little 5e sprinkled on top. An (excellent) example would be Mithgarthr. For all intents and purposes it is 5e D&D; however, there are enough world-specific races and classes and unique mechanics that it deserves to be its own game. As much as I admire the folks at Mithgarthr Entertainment for producing a version of 5e that I’ve been sore tempted to buy in hardcover (something WotC has never even come close to doing), my goal is to produce something both far more generic and compatible. In other words, what I want is a version of 5e that can be easily used regardless of what campaign world the end user wants for the their game table and that can be used (with very little effort) in conjunction with the 5e rules as written. I use the caveat “with very little effort” because, in order to scratch my curmudgeonly old-school itch, there will necessarily be some alterations to classes that will deviate slightly from the rules as written. Additionally, I will only use ideas/spells/powers from the SRD to describe these three classes. Thus, there is no need for detailing different oaths, archetypes or patrons. This will simplify the typesetting and presentation of each class immensely. Firstly, 0e only had these three classes. By sticking to that pattern, it gives this modern version of D&D an old-school feel. Barbarians and Rangers are fighters with specific backgrounds and tactical proclivities that don’t really need any mechanics to express. Bards are entertainers and there is an entertainer background. Thus, one could be a bard in any class and thus a specific class with specific mechanics aren’t all that necessary. Sorcerers, Warlocks and Wizards are also really the same class that primarily differ on where magic comes from. That can easily be explained through special effects and world-building concepts. Especially since Cantrips in 5e can be cast at will, there is very little mechanically difference between these classes. Rogues have always been the skill-heavy class. 5e gives access to all kinds of interesting skills and proficiencies through backgrounds. One can choose an appropriate background with any class and function as a thief-like character. Monks have always felt a bit out of place in D&D because they have a definitive Wuxia feel to them that is a bit alien to the average high-fantasy D&D campaign world. At the same time, they don’t really do Wuxia justice. 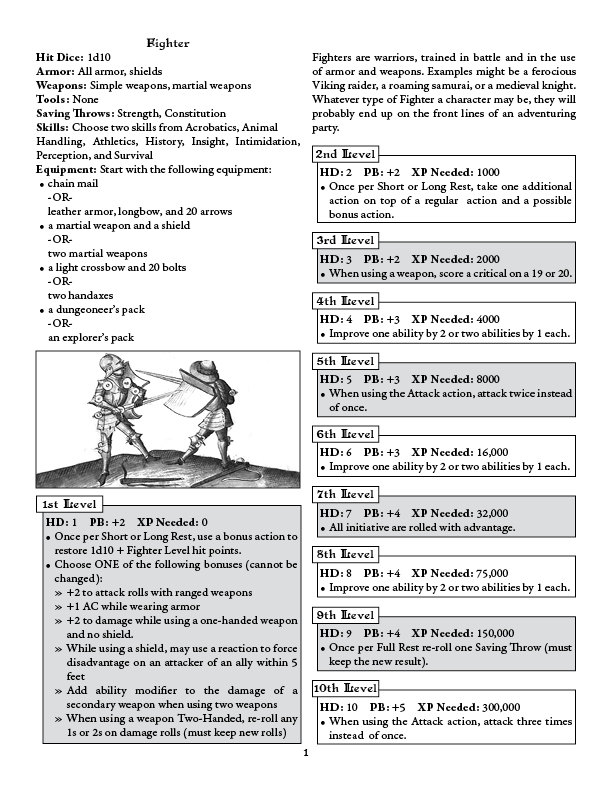 If one really wanted to do a Wuxia-style game using a 5e D&D chassis, backgrounds would be a much better way to build that world than relying on the Monk class. Thus, the original three classes married to a robust background system can easily emulate all the other classes found in 5e. 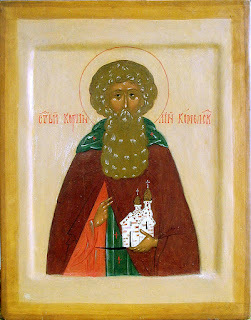 Today is the Feast of St. Cornelius the Abbot of Komel, Vologda. Born into a boyar family in the 15th century, his brother Lukian served at the court of the Great Prince of Moscow. Both brothers decided to enter into monasticism at the monastery of St. Cyril of White Lake (how cool is that name!?). Desiring for a more solitary life, St. Cornelius left White Lake to enter other monasteries, but eventually chose to live in the inhospitable environs of the Komel forest. Other monks began to gather around him and in 1501 he built a wooden church dedicated to the Entrance of the Theotokos. By 1512, the brethren had grown so numerous that he built a stone church and compiled a Monastic Rule based on those written by Sts. Joseph of Volokolamsk and Nilus of Sora. St. Cornelius died at the age of 82 on May 19, 1537. As I explained in this seven-year-old (!?) post, there are two basic forms of monasticism: cenobitic (communal) and eremitic (hermit-like). The monastic rules found in Russia tend to be of a third type: the skete. It takes elements of both eremitic practices, allowing for the isolation of individual monks, and cenobitic practices, allowing for a community of monks to live in close proximity. In other words, there really is no single “right way” to be a monastic. Depending upon the individual and the relationships that individual forms, one can be called to be a part of several different styles of monasticism. Indeed, many monastic saints, St. Cornelius included, practice several different types over the course of their lifetime. In the comment section of my last Saintly Saturday post, there was a joke about edition wars in D&D. Admittedly, when I first started to blog about RPGs, I wrote several serious criticisms of “new-school” D&D and I will openly admit that the idea of playing 3e, 3.5e, Pathfinder or 4e sounds about as much fun as doing some major dental work. Today, however, I won’t begrudge (too much) someone else’s fun. Sure, I believe they would have more fun at my table and the way I like to play, but I also know from experience that isn’t a universal rule I can depend upon. I have argued that we live in a Golden Age for RPGs. One of the reasons for that is that we, as players, have at our finger tips 0e-5e D&D and all the various clones of those editions out there to choose from and hack ourselves for our particular proclivities and our particular needs. In the same way monks have a plethora of opportunities to pursue the ascetic life, we gamers have a plethora of choices as to which rules we want to bring to the table to have fun with. Recently Eric of Tenkar’s Tavern reported that WotC estimates that there are 12 to 15 million D&D players in North America and that there was a 44% growth for the D&D brand in 2016. Note that this is just the brand, not a specific edition. While I will openly admit that most of the growth can probably be attributed to 5e (and that is not a bad thing), I am guessing that no small percentage of that comes from older editions. Else, why does WotC keep on churning out publications for older editions in both PDF and POD forms? There was a time when I thought such a move by WotC would never happen and I cannot tell you how happy I am that they continue to open up that library. In other words: play the version of D&D that you want to play and have fun! If that version doesn’t exist, make it! Today, we have so many tools at our disposal to do just that, we barely have an excuse not to. To that end, one of my episodes of Gamer ADD which I have been subject to of late, was due to the WotC news Eric reported. I like the concept of 5e, but I don’t like its presentation, its editing or the relative complexity of the rules as they exist today. Erik took what were really simple rules (S&W White Box) and stripped them down as much as possible to still have a game we would recognize as D&D and S&W: SWL and SWCL. My Gamer ADD-addled brain thought why can’t I do that for 5e? Thus, one of my wayward projects is editing the 5e SRD down to a rules-lite version of the game which I would gladly play and even Referee. Hopefully, I’ll have some presentable stuff done sooner rather than later to share. My life has been extremely busy of late and on top of that, my overtaxed brain has been busy screaming, "squirrel!" Thus, I have several ideas half-formed in the last several weeks that I am trying my best to at least roughly shape out so that I or others can use them. To that end, if you haven't checked out Black Pudding #4 by J.V. West under the Random Order Creations moniker, do yourself a favor and do so. Every issue of this fanzine irreverently enhances the goodness that is B/X with a loving 1970s-esque kitschy wonder that has me both giggling and itching to play. Black Pudding #4 has a hack of B/X using elements of 5e, LL, S&W with just the right amount of cool. It is a hack I would play in a heartbeat; however, there is one glaring hole, at least for my particular proclivities. Clerics don't get the Black Pudding treatment. Therefore, I endeavored to make my own so that when the day comes and I find myself at a table willing to embrace that wacky coolness that is the Black Pudding OSR Playbook, I'll be ready to add my own bit of the ridiculous (in a very good way). The file can be found here. Enjoy! 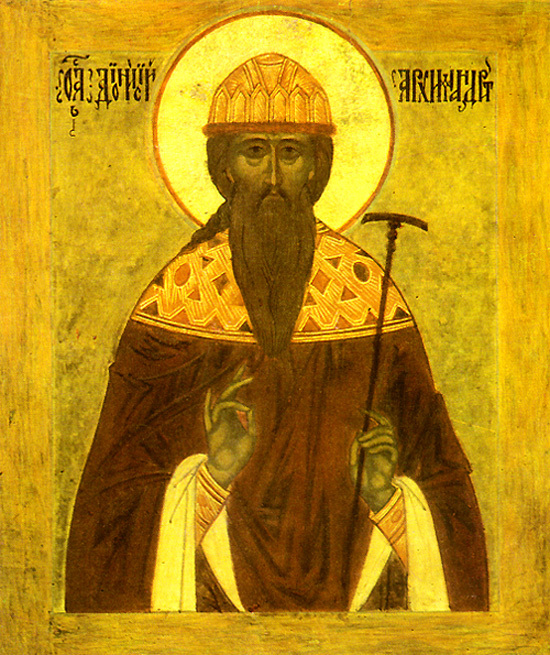 Today is the Feast of St. Dionysius the Archimandrite of St. Sergius Monastery. Born in 1570, St. Dionysius was the head of the Staritsky Dormition monastery (northwest of Moscow) and then, beginning in 1611, St. Sergius Monastery (northeast of Moscow). He died in 1633. Thus, he lived through the entirety of the Time of Troubles, an era plagued by succession wars, foreign invasions and famine. He was foremost aid to St. Hermogenes, Patriarch of Moscow who himself was imprisoned by Polish-Lithuanian invaders who sought to impose Catholicism on the Russians. St. Dionysius also set up a house and hospice for the injured, sick and homeless. He also ordered that his own monks distribute the best food they had to the poor while surviving on the left-overs. Dionysius himself was jailed. Ironically, it was by his fellow Orthodox and not the Catholics. During the chaos of the Times of Trouble, discrepancies began showing up in service books. Therefore, Dionysius got involved in trying to remedy the situation by comparing current editions with both ancient Slavic texts and Greek texts. Without understanding what he was doing, the local officials accused him of heresy at Council in 1618. At the intervention of Patriarchs of both Moscow and Jerusalem, he was released and reinstated in 1619. He is buried at St. Sergius Monastery. The last Rurik Tsar, Feodor, is described as being “mentally-challenged” and the realm was actually being run by his brother-in-law, the boyar Boris Godunov. Prior to Feodor’s death, his younger brother Dmitri was assassinated in mysterious circumstances (some suspect at the order of Godunov). Upon the death of Feodor, Godunov was elected Tsar; however, his reign is plagued by problems. From 1601-1603 summer temperatures at night in Russia fell below freezing, killing crops. One third of the population starved to death. Brigands freely roamed the countryside. Tartars began raiding the southern borders. The princes balked at the idea of taking orders from a mere boyar (akin to a Duke or Earl taking orders from a Baron). Conspiracies against the new Tsar abounded. Godunov was painted as an usurper and rumors that Feodor’s younger brother Dmitri was still alive and in hiding. False Dmitris started to declare themselves and were supported by both the Polish-Lithuanian Commonwealth (Catholic) and the Kingdom of Sweden (Protestant) to justify getting involved in a series of succession wars and political assassinations. In the end, all of this foreign meddling (especially the attempts to impose Catholicism) united the Russians as a people across classes and out of the ashes rose what became the Russian Empire.